Mobile advertising has grown exponentially in the last two years and has been a key driver in the financial growth of the entire mobile industry. However, although technological advancements have made it easier for brands to engage with their customers, these developments have also presented new challenges in attributing conversions properly across the various marketing channels. With mobile advertising spend set to increase to more than $167 billion dollars by 2018, the industry is continually growing without accurate attribution models to account for the major changes in mobile usage. That’s why we are excited to now be offering view-through attribution as standard. VTA allows marketers to measure the value just seeing an ad can have in influencing conversions. We’re excited to expand your advertising options with view-through attribution, facilitating a more complete performance evaluation of your display ads. More and more users are seeing display ads and converting without ever clicking on the ad, thus rendering click-based attribution insufficient in measuring the value of these ads. 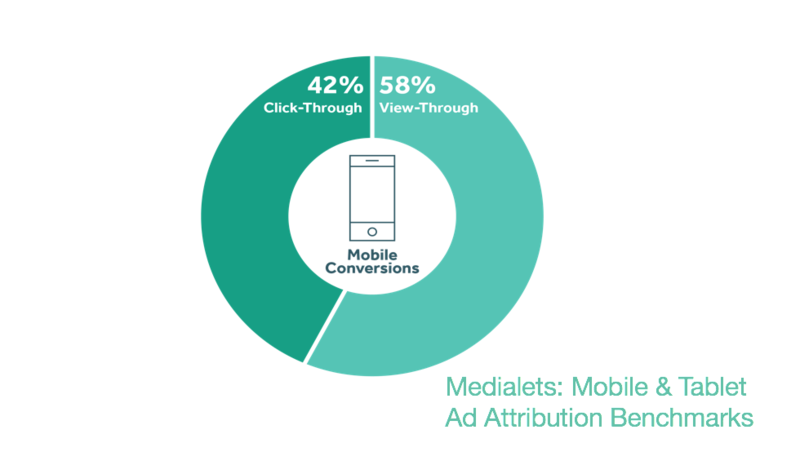 View-through attribution provides a deeper insight into the effectiveness of your campaigns and allows you to uncover organic conversions giving you a more thorough understanding of your app audience. These insights will let you make quicker and more confident changes to your ad spend and maximize your ROI. VTA provides additional transparency on the effect of your Remerge campaigns and gives additional data points to our optimization algorithm allowing us to optimize faster. Several trends are contributing to the rise in view-through conversions. With new technological developments allowing for more innovative display ads like video, and other content formats; these ad types tend to be viewed more than clicked on. This shift has created a need for a better way to attribute the impact of ads in driving conversions. Furthermore, external issues like device memory, and internet connection all have an effect on the way users are interacting with app ads. These significant shifts in ad formats and consumer behavior require better attribution models. The majority of mobile and tablet conversions are from view-through. Without VTA, most mobile conversions would go unattributed to mobile ad exposure. With view-through attribution, there is no risk of double-counting a click as the user is automatically excluded the moment they convert within the associated attribution window. For non-clicking users, if a conversion occurs within 24 hours of a user viewing a Remerge ad, we will attribute it as a view-through conversion. If your measurement partner supports impression forwarding, we will pass on that information to them. Our research has shown that users who are exposed to ads are likely to engage more with your app, and are 1.5x more likely to convert. Exposure alone has huge value and view-through allows you to measure the conversions this exposure generates to paint a more accurate picture of your campaign performance. VTA is a critical measurement feature for marketers who want to be able to put data behind their brand advertising. View-through creates budget efficiency and ensures greater ROI, as ad spend can be allocated to strategies that make a quantifiable contribution to final conversions. Measuring view-through conversions allows you to improve your optimization efforts through a more in-depth understanding of your app’s audience. Measuring CTCs alone can lead to a miscalculation of your high-value users. How do you know if your company really cares about you? I unintentionally put Remerge to the test.